Availability : Any day with 2 people. Not available in February. Discover this Classic Inca Trail hike in style! 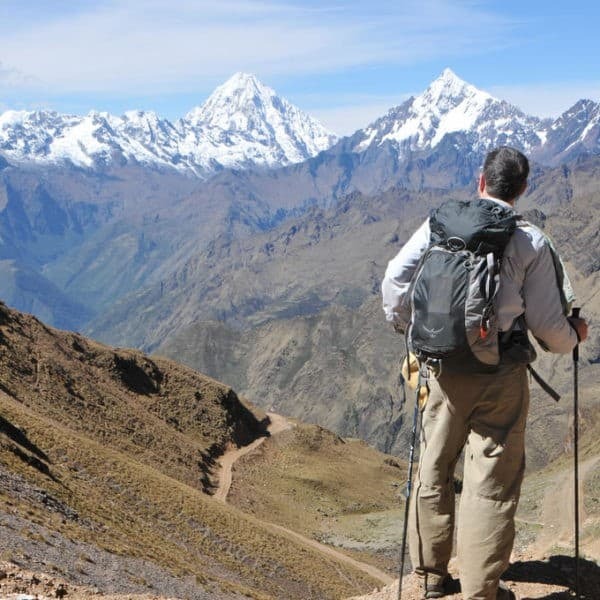 Our Luxury Inca Trail Hike follows the same 4-day route as the famous Classic Inca Trail, but with added comfort. This hike to Machu Picchu includes Comfort Camping on nights 1 and 2 and accommodation at a 4-star luxury hotel in Aguas Calientes on night 3. Enjoy a leisurely morning on Day 4 before heading to Machu Picchu for an afternoon tour of this incredible Inca citadel – an exclusive Machu Picchu experience that lets you enjoy the site without the big morning crowds. Our Luxury Inca Trail Hike follows an ever-changing landscape that starts in the Sacred Valley and finishes in the Andean jungle. Enjoy this once-in-a-lifetime experience in comfort, what is sure to be an unforgettable time. 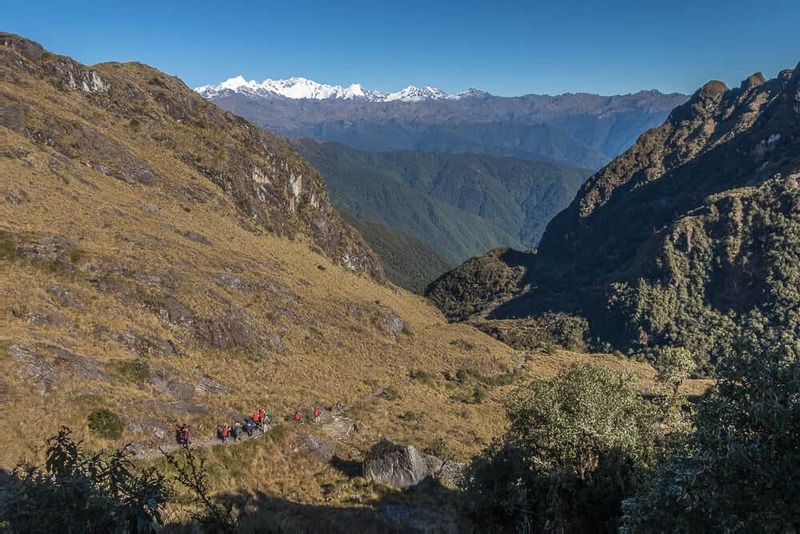 Read more about what makes the classic Inca trail hike so awesome in our blog! Did you know? Only a special few actually get to hike the Inca Trail every year. 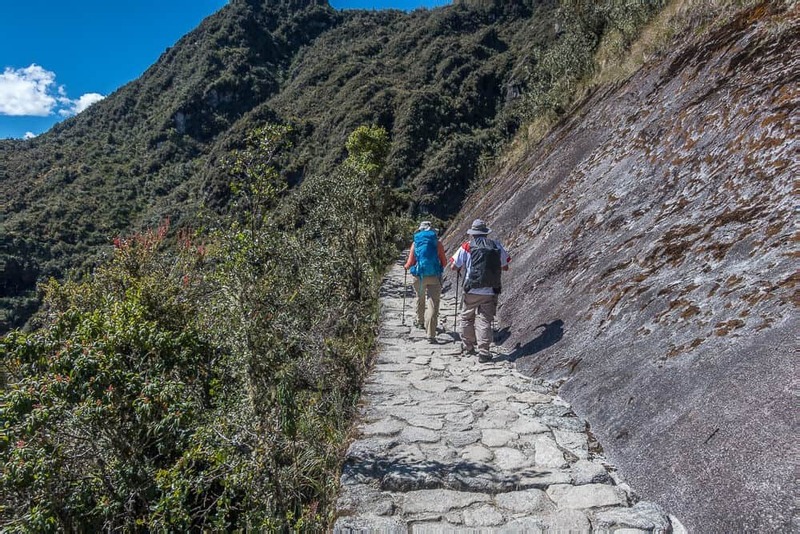 Peru’s permit system allows just 500 people on the trail every day – approximately 200 visitors and 300 trekking staff. Permits are sold on a first-come, first-served basis, and are in very high demand: they can sell out as much as 6-8 months in advance! Once permits have been purchased, NO OPERATOR CAN OFFER YOU ONE. All permits are personal and non-transferable meaning that if someone cancels, their spot cannot be taken by someone new. And there is no waitlist! 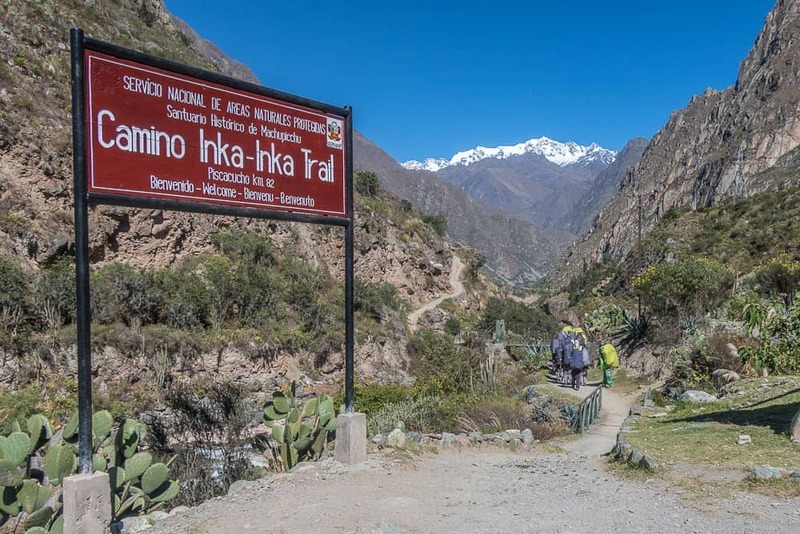 Note: The Inca Trail hike is closed in February for maintenance. 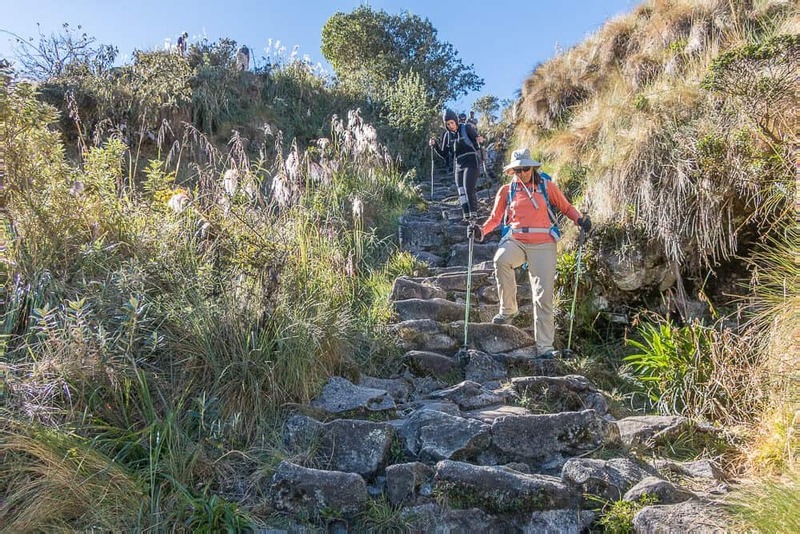 The Luxury Inca Trail hike follows an Inca road, which features a combination of ground trails and stone-paved paths. Some sections are very steep, and require sustained uphill climbing. You may see a variety of flora and fauna, such as cacti, orchids, birds and possibly a vizcacha (Andean chinchilla) or two, as you hike from alpine tundra to lush cloud forest. At high passes, you will be treated to majestic views neighboring mountain ranges. The Luxury Inca Trail hike also includes the chance to visit several impressive Inca ruins. And of course, the Comfort Camping and luxury hotel in Aguas Calientes are what make this Luxury Inca Trail hike so special! Camp bed, thick Thermarest foam mattress and Thermarest inflatable pillow. Porters, who carry camping equipment, food and kitchen utensils. We provide duffel bags at your briefing for your personal items (up to 7kg/15lbs per person). If you wish to take more, you can hire a personal porter. Please contact us for costs. Toilet tent is not included on Inca Trail hike routes because we use facilities provided by the Ministry of Culture. See What To Bring for our comprehensive recommendations on what to pack for your trek. For more great suggestions, check out our blog about How to Prepare for a Trek in Peru! Note: Trekkers Wanted for the Inca Trail ONLY available while permits last for your departure date. Campsites or itinerary are subject to change, depending on the time of booking and availability of campsites. The Ministry of Culture, the government institution responsible for operating the Inca Trail, allocates campsites to authorized trekking companies on a first-come, first-served basis, and so we cannot guarantee that all campsites described in this itinerary will be available when you book. 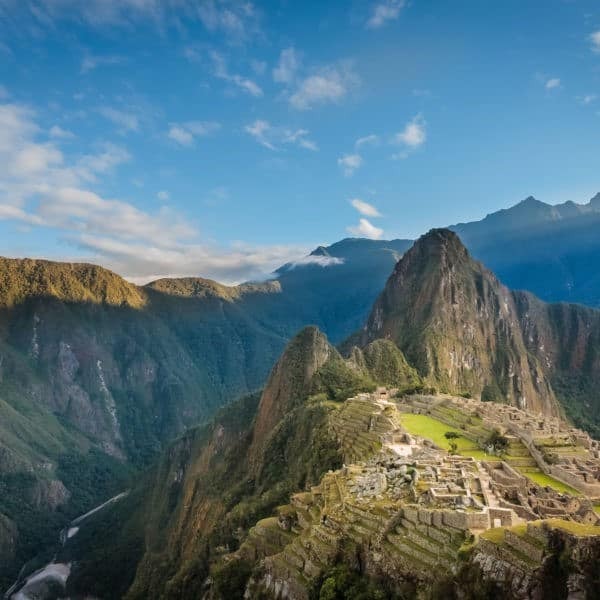 A scanned copy of your passport and a non-refundable deposit must be provided upon booking a Luxury Inca Trail hike. This is due to government regulations which require complete passport details and full payment of the Machu Picchu entrance fee in order to issue a permit. Your reservation will only be confirmed when we have your entrance ticket in our hands. If your passport number changes after you book, you must tell us immediately or you may lose your booking! If the name or number on your passport is different from the name or number on your Inca Trail permit, you will not be allowed to start the trek and you will not be entitled to a refund. You must carry your original passport with you on the trail. If you booked a Luxury Inca Trail hike at a student rate, you must bring the required documentation on the trail with you. If you do not present this documentation, you will not be allowed to start the trek and you will not be entitled to a refund, nor given an opportunity to pay the full rate. This trek includes transportation by train from Aguas Calientes to Ollantaytambo on the Vistadome service (Executive Class), or equivalent Inca Rail service, followed by private vehicle transport from Ollantaytambo to Cusco. You will be picked up from your Cusco hotel early in the morning in private transport. You should have breakfast in your hotel or bring some snacks. We will stop in Ollantaytambo for last-minute purchases, or a quick breakfast if you missed it in Cusco! We will continue to Piscacucho (also known as Kilometer 82) where the trail starts. On arrival at Kilometer 82, it is necessary to show entrance tickets, passports, and student card (if applicable). Crossing the Urubamba River, we begin our trek through typical dry forest growing prickly pear and other cactus, and the tara tree. We will walk around 3 hours (6kms) to Llactapata the first archaeological site on our journey. From there, another 4 km of gentle uphill through farmland takes us to Huayllabamba. Then, leaving pastoral villages and farmlands behind, we will continue to Ayapata (3300mt /10,826ft), our campsite for the night. After a good night’s rest, we start walking for 2 hours and enter the subtropical forest, walking through Llulluchapampa. From here we will start a steep ascent towards the highest pass: the Abra de Huarmihuañusca, or ‘Dead Woman’s Pass’, coming in at an impressive 4200m (13,779ft). You’ll feel an amazing sense of achievement upon reaching the top! After a short rest, we continue downwards 600m (1968 ft) over 3kms (1.8 mi) through a very humid forest of Pacaymayo where you will have lunch. We will continue walking to the beautiful Inca site of Runkurakay, one of the checkpoints and the beginning of the original Royal Inca trail to Machu Picchu, known as Qhapaq Ñan. We continue on to Sayakmarka, one of the most beautiful Inca remains on our Luxury Inca trail hike and after 3hs we will reach the campsite at Chaquicocha (3600mt /11,811ft). After another early breakfast, we enter the cloud forest, trekking through some incredible scenery filled with orchids and hummingbirds. After another hour, we arrive at Phuyupatamarca (‘town in the clouds’). This is the third highest point on the Luxury Inca trail hike (3680m /12,073ft) and we will have breathtaking views of Salkantay mountain. After feasting our eyes for a moment, we continue downhill through the forest for about 3 hours until we reach Wiñay Wayna (‘forever young’), where we will have lunch. Steps away is the Inca site of the same name, the most impressive on the trail. No matter how tired you are, talk to your guide and don’t miss out on seeing this wonder! After our visit, we leave Wiñaywayna to climb to Inti Punku, The Sun Gate (2700m / 8858ft). This will take an hour of hiking through highland jungle, along a trail of flat stones that line the cliff edge. From this fabulous spot, we may enjoy spectacular views over the sacred citadel of Machu Picchu, weather permitting. From Inti Punku, a short walk brings us down to the entrance of Machu Picchu. Before reaching the entrance, we will take a side path off the trail to go down to Aguas Calientes, as we will save Machu Picchu for tomorrow. We take the bus down to Aguas Calientes where we’ll check into your hotel, before enjoying a celebratory dinner. Then it’s off to bed as we’ll have an early start tomorrow! After an early breakfast at the hotel, we will take the bus up to Machu Picchu. For a more relaxed visit, we recommend a somewhat later start, but we can also aim for the 6am entry if that is your preference. Your 4h visit to Machu Picchu can be spent exploring some of the alternative routes, like the Inca Bridge, after which your guide will give you a 2-3h walking tour of the historic citadel. And if you don’t plan on doing one of these extensions, we suggest enjoying your Machu Picchu visit in the afternoon, after the morning crowds have all but completely cleared out. We return to Aguas Calientes by bus and then start our journey back to Cusco in the afternoon by Vistadome train from Aguas Calientes to Ollantaytambo. There, our driver will meet us and transfer you directly back to your hotel in Cusco. Total travel time is about 4 hours from Aguas Calientes to Cusco. Availability : We depart almost any day with 2 people. NOT AVAILABLE in February.